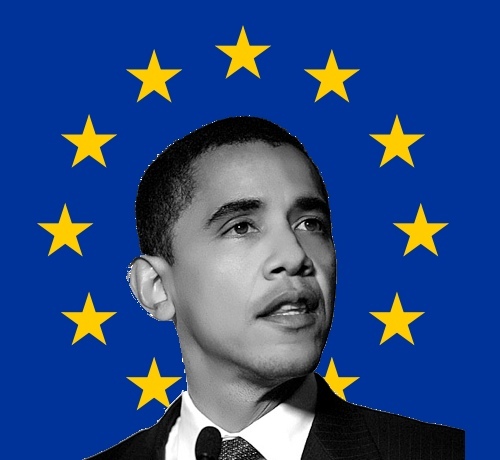 There’s an Associated Press article you can read all over the web including, for example, MSNBC, titled Europe has a long wait for its own Obama. I’m not going to comment generally on ‘Europe’, or even in detail on the UK, except to say that the most obvious difference is the relative recentness of large-scale non-white populations in Europe. It’s been 50 or 60 years now, so that excuse is wearing thin, but it’s still somewhat relevant, I think; even in a democracy, most people who reach positions of power and authority do so from a solidly prosperous establishment background, which is not the situation new immigrants are generally in. So with 8% non-white population, most of whom have been here for three generations or less, even if the UK was completely free of racial discrimination (which it obviously isn’t), the odds would probably still be against us having had a non-white Prime Minister by now. As a comparison, 6% of the population is Welsh, and we’ve only had one Welsh Prime Minister in 300 years. And one point I’d take from the way the US election has panned out is that all votes are cast for an individual. It’s not very long ago that the press was busy asking whether America was ready to vote for a black president; the answer seems to be yes, but that wasn’t necessarily obvious in advance. You can only find out the answer by having the election; and until you have a candidate, no-one can know the answer because it’s impossible to judge your own responses until you have a real person with a name and a face and a set of policies and a campaign. America may not be ready to vote for ‘a black man’, but they are ready to vote for Barack Obama. Similarly, it might be difficult to imagine a black or Asian prime minister, but then it would have been difficult to imagine a woman in 10 Downing Street until Margaret Thatcher came along. Do I actually think it’s going to happen any time soon? No, absolutely not. In fact, given the way the parliamentary system works, you can pretty much guarantee it won’t happen for at least six or seven years. But would the British public be willing to vote for a dark-skinned candidate for PM? It’s impossible to know, but if, like Obama, they were charismatic, eloquent, unflappable and running against a staggeringly unpopular incumbent, I wouldn’t bet against them. America may not be ready to vote for ‘a black man’, but they are ready to vote for Barack Obama. A Virginia-based friend offered this opinion from his relatives: They think Obama is African, and not African-American, and thus he doesn’t have “the anger towards white folks” that apparently all African-Americans have. Which makes it OK for frightened white people (now known as “real America”) to vote for him. He decided it was best to let them continue thinking this until after the election, but it makes me feel like we’re all voting for specific bits of misinformation, rather than a specific person. They think Obama is African, and not African-American, and thus he doesn’t have “the anger towards white folks” that apparently all African-Americans have. Obama’s place slightly outside the normal dynamics of American racial identity is one of the fascinating aspects of this election that historians will no doubt discuss at length. But I’m not sure I completely trust people’s rationalisations of their own decisions. It’s hard to portray Obama as an angry black man because he just doesn’t seem very angry. His composure has been one of the most striking things about him from the beginning. If he had the same personality but was from Alabama, perhaps your friend’s relatives would have found some other way of articulating why it was safe, this time, to vote for this particular black man. Incidentally, a friend of mine has recently returned from working in Nairobi, and apparently, they’re very excited there about Obama. And from their point of view he’s not just half-Kenyan; he’s also Luo. I bet you never expected to have a president with a stake in East African tribal politics.